If you’re anything like me, every now and then you crave a little bit of good, old fashioned girl-time. Of course, you love the husby or boyfriend and children dearly, but there’s really something special about getting away for a weekend of non-stop gals-only goodness. I’ve put together a list of five U.S. girlfriend getaway destinations to tempt you and your friends, no matter what type of vacation you seek. Las Vegas is a hot spot for girlfriend getaways. Exploring the amazing hotels and casinos is always a thrill, even if you’re not a gambler. Of course throwing a few coins into the slot machines can certainly take the edge off – and might just buy you a round of cocktails (like it did for me)! If you want to try something a little adventurous, you can sign up for a G-rated pole dancing class for girls only, where a professional dancer will give you a workout and help you learn to let loose for a few hours all in good fun. And really, what better way to relax with your best gals than over a big, pink cocktail in the sun around one of America’s most glamorous pools? 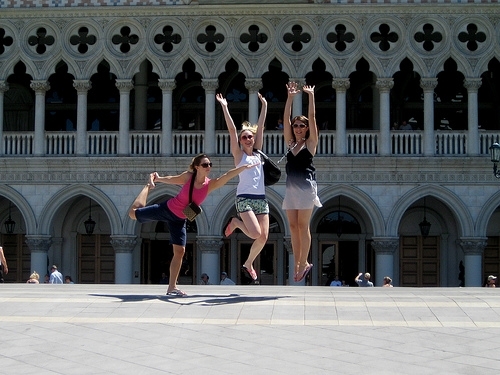 Read more about planning a Las Vegas girlfriend getaway now! 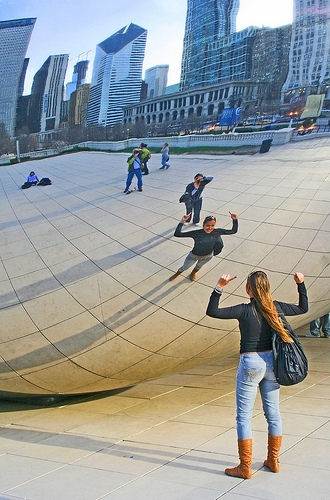 If you and your girlfriends have a more cultural bent, make a weekend of it in Chicago. The Windy City has a huge number of institutions where you can expand your mind and artistic sensibilities, including the famed Chicago Museum of Contemporary Art and the Art Institute of Chicago. And then there’s the shopping. Chicago has a lot of great shopping, from the high-end stores along the Magnificent Mile to the unique, bohemian boutiques in the Wicker Park neighborhood. With L.A.’s strange mix of ultra-glam and gritty, there’s a lot of wonderful “no good” in the City of Angels for a group of fun-loving girls to get up to. For starters, you’ll want to give Hollywood at least a passing glance – maybe stick your hands in Johnny Depp’s handprints on the Walk of Fame or try to catch a glimpse of George Clooney getting his morning paper in Beverly Hills. Beyond those cheap thrills, though, Los Angeles is a great city for relaxation. 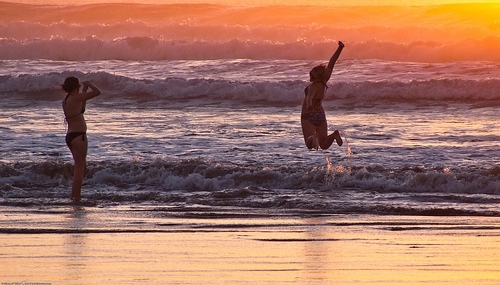 You might also want to get to the beach for a bit of tanning time, maybe take a surfing lesson, or even do a grown-up’s tour of Disneyland in nearby Anaheim! Nashville is a happening city that makes a good central destination for girlfriends hailing from different parts of the country. The obvious thing to do in Nashville is check out the live music scene, with several musical genres on tap for friends of varying tastes. Nashville is also full of gorgeous little cafes, diners, bistros, and coffee shops where you can easily while away afternoons over fresh salads, a glass of white wine, or a foamy cappuccino during long chats with your best friends. 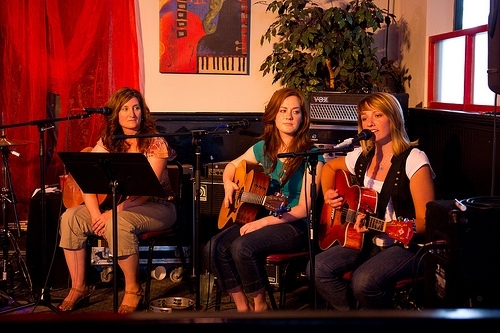 The mountainous capital of New Mexico is a perfect hideaway for ladies that want to rejuvenate. Santa Fe is small, but packed with great shopping (especially if you like the Southwest style, like handmade turquoise jewelry), a massive number of restaurants per capita, and a relaxed nightlife. The city is nestled into the base of the Rocky Mountains, so there are a lot of outdoorsy activities if you want to get away from it all. During the winter, you can make it a cozy ski holiday. In the summer, take a hike or visit some ancient Native American pueblo villages. Santa Fe has tons of spa options, including Ten Thousand Waves, a luxurious Japanese-style spa tucked away in the mountains above the city. No matter which of these destinations you pick, you are sure to find delicious food, excellent spas, and fun shopping to share with your besties. And really, you’ll be so busy giggling and gabbing that you might just forget where you are! What is your favorite destination for a girlfriend getaway? Share your thoughts in the comments! Travel writer and wanderluster, Megan Eaves is the author of two travel guidebooks. Having traveled to 25 countries and lived in four, she is an expert on Ireland, China and the American Southwest, where she grew up, and also often writes about her adventures around Europe, especially Prague, where she is currently living. More about Megan and her writing is on her website, www.meganeaveswriting.com.